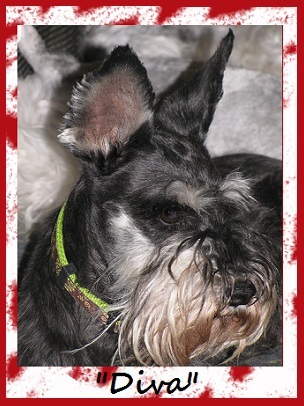 "Diva" was my big eared girl who made me smile eveyday. She demanded at times that the other dogs listen to me. She would keep them in-line and if they got out of hand she would run over to them so proud with a bark. She was the mother hen to every pup we had while she was with us. I often found her trying to feed babies that were not hers even when she was dry, if she couldn't feed them she would at least clean them. She loved her food and her weakness was the garbage can! She was a beautiful Mom and a wonderful friend who will be dearly missed by many. 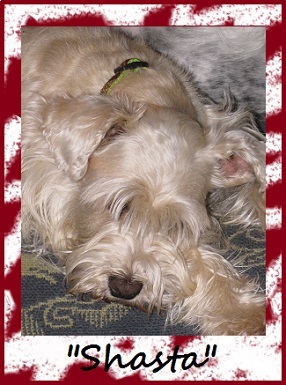 Diva passed away Nov 2014 in our home, we had her for almost 13 years. "Shasta" my beautiful tender girl who would run around the house in any direction when we would chant "Shasta, Shasta, Shasta". She was a puppy to the end. If Diva was my soul then Shasta was my heart. The day she passed I knew I was going to loss her because she laid her head on me almost saying you will be okay....if that is what she was saying then she was so very wrong. I lost her the day before I found and bought "Riley" which made me feel guilty, like I was replacing her. Riley came when I wasn't really looking however maybe, just maybe Shasta had a paw in it. 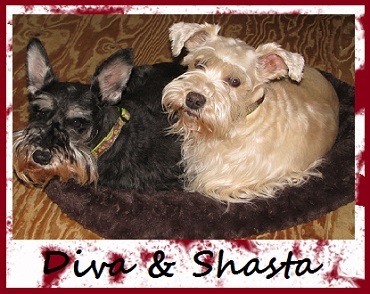 Shasts wasn't the same without her buddy Diva and I can at least believe that they are now back together. Shasta passed away only 4 months after her buddy Diva. Shasta passed March 2015 just short of 13 yrs just like Diva. Shasta took such a huge piece of me and will never be forgotten. I die I want to go to where they went".